As you pursue your job hunt, effective interviewing skills are essential. The interview is the most critical event in landing that perfect job, so a little time brushing up on these skills will prove invaluable. Your consultant will provide you with company information, but most companies have a web site these days so you can access your own information. Use this company information to ask questions but try not to come across as a “know it all”. Always be on time. All employers will disapprove of lateness. The best idea is to arrive 15 minutes early and wait out the time nearby, but not at the interview location. If you do anticipate being late call your consultant. First impressions last. Hair should be well groomed; make up, cologne and perfume kept to a minimum. 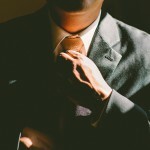 For many office-based positions suits are required. Your consultant will advise you of appropriate attire for the specific company but you should always be smart and professionally turned out. List on a piece of paper all the questions you would like to ask. We have attached some samples but use company information to prompt questions. Likewise, think of the questions that you may be asked and list those down also. This will help you work through the interview process and allow you, to a degree, to control the interview. Remember to be pleasant to everyone you meet. It maybe that the receptionist is asked his or her opinion of you after you have left. When the interviewer meets you, offer a firm handshake, call the person by name, smile and maintain a comfortable amount of eye contact. It is highly likely that you will be asked to explain you CV. Be sure that your past history is achievement driven and be prepared to talk about specific achievements rather than your job description. Be open enough to explain your successes or failures. Feelings are important. You must sell yourself. Be enthusiastic and positive. Sell your experience, your willingness and your drive and determination. Be yourself and be upbeat. As the interview winds down the time comes to leave the recruiter in no doubt that you are interested in the position. Phrases like “…thank you very much for seeing me today, from what you have told me about this position I feel it could be just what I am looking for; what would be the next step?” or “…Mr Recruiter, based upon the information you have about me so far, do you feel that I would be the right person for your organisation and this position?” or finally “…Mr Recruiter, I very much enjoyed our meeting today, Jones and Jones is a great company and I would be keen to meet with you again; what would be the next step?” Leave them in no doubt! Can you tell me a little bit about the people who work in the team? How have others progressed within the organisation? Are there any job related training programs ? What is the decision process and time scale for this position? Who are the key people I would be working with? How long has this position been open and why? What will I be doing the highest percentage of the time? What is the most rewarding aspect of this job? When do you want someone to start? Do you have any company literature I can take? Could I see where I would be working? What are your good points/how would your boss describe you? (strengths)? What are your bad points? (weaknesses)? What motivates you? Why did you leave your last job? Why does this vacancy interest you? What aspects of your last job did you enjoy? Feedback is very important. You must call your Shepherd Stubbs Consultant immediately after the interview. In certain circumstances this could be the difference between a job offer or not! By the same token, we will give you feedback from the interviewer and if you are not successful, give you guidance and tips for your next interview.